Pipadouro has an innovative VINTAGE WINE TRAVEL concept, a Luxury River Tourism with a quality service in boats that stand by their charm of the 50s and 60s. The company started in 2007 and its mission is "Quality and Excellence". 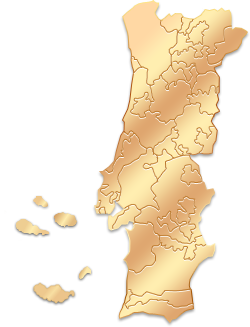 The Pipadouro project is based on the Douro River - Douro Valley, from the Foz of Porto to Barca d'Alva, bordering Spain. With the construction of dams, we can say that the river was definitely tamed, creating reservoirs of still waters. It is the only Portuguese river with a locking system that allows the navigability along almost 200 kilometres. Pipadouro offers private programs where the boats are for exclusive use, based on a tailor made concept, creating unique trips to the taste and needs of each client. It also offers daily programs with pre-set routes and schedules. Pipadouro has two wooden vessels, named internationally Vintage Classic Boats that stand out for their antiquity, beauty and charm of the 50s and 60s. Both boats are equipped with all the necessary facilities in order to provide a smooth, safe and memorable trip. The crew of each vessel is responsible for the maximum safety of all passengers and also responsible for providing a highly qualified service in order to exceed the expectations of every client, always meeting their demands on a proper and professional way. A 66 feet Classic Wooden Yacht, is a English ship built in1957in the shipyards of Christchurch, in England. She has a double hull in mahogany from the Honduras, riveted with copper that gives her an added value both in safety, and worth. Friendship I was due to a request of 2 identical boats by the Royal Navy. The boat has been serving the British Admirals on their travels to the high seas for the 'exchange' of officers on the battleships. During 2007, Friendship I was restored with extreme care to keep all her structural originality. A 1967 30 feet Vintage Boat Her construction was based on the drawings of the famous American brand Chris-Craft. She was built in wood in the famous shipyards of João Brites, in Lisbon, Portugal for a Portuguese family that had the boat on the River Tejo just for leisure. After 20 years, she was purchased and restored by a gas company, was reconverted to transport clients and directors of that company. After another 20 years, and by virtue of fate, Pipadouro II was restored again. Pipadouro has its boats at the pier of Pinhão and its site of action is in the Douro River along all its length. Failure of third party services. In these cases, you can choose between the reimbursement of the amount you have paid or for another trip suggested by partner. If a change occurs 30 days before departure, the amount of the trip will be reviewed and changes may be made according to the availability of the partner. If the change occurs during the 30 days before departure, you may lose the right to change and to reimbursement, if any. The change can be accepted by the partner, if it does not involve damage to the company. Muito bom, com uma equipa excelente. "Uma experiência fabulosa. Desde a gentileza e hospitalidade do skipper ao relaxing atmosphere, a paisagem da margem, a serenidade...Duas horas de pure bliss!"